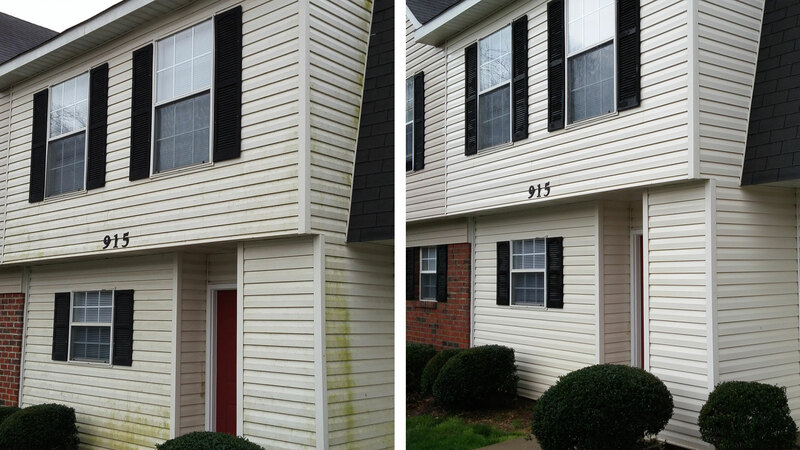 There’s nothing more upsetting to us than seeing a beautiful home covered in outdoor muck and grime. 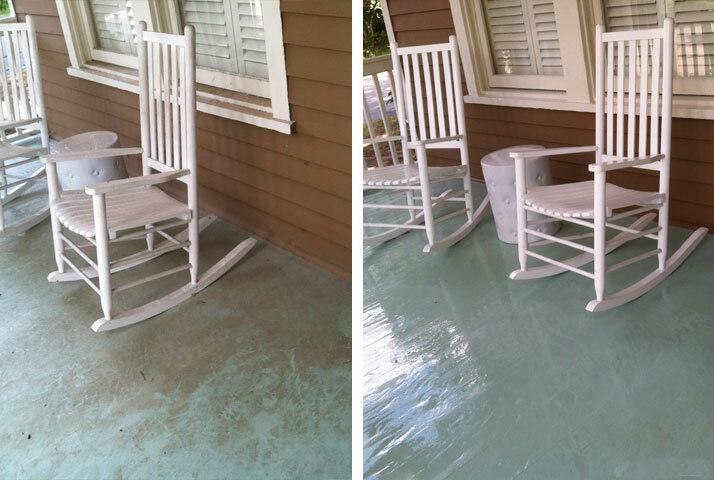 Like a cool drink on a hot summer day, Blue Wave refreshes the look of your home through the power of jetted water. 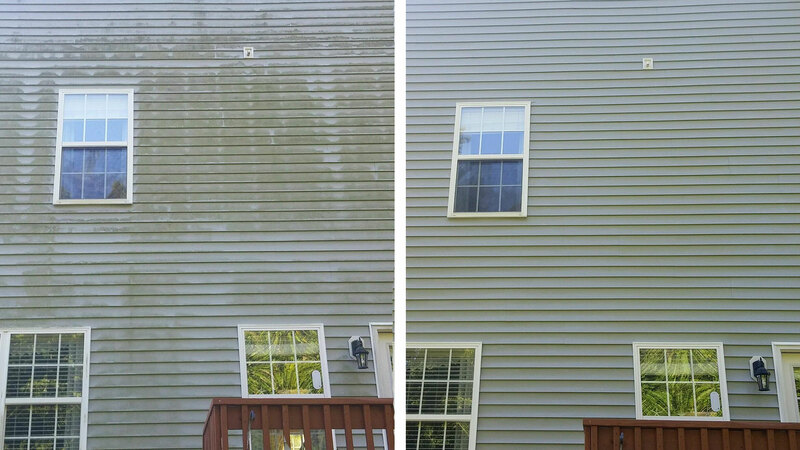 Whether you’re selling your home or just want to avoid another letter from your home owners association, pressure washing your home is an easy way to protect your investment and restore the original beauty back to your property. 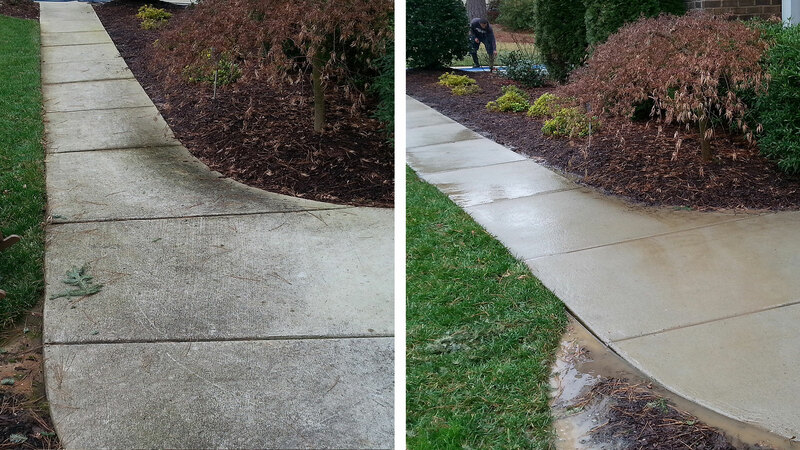 Homeowners across Raleigh, Durham, and Cary have raved at the incredible difference that Blue Wave has made to their property. 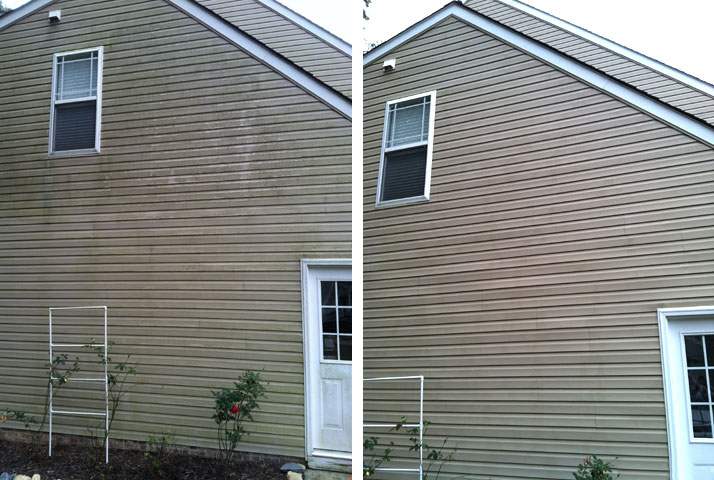 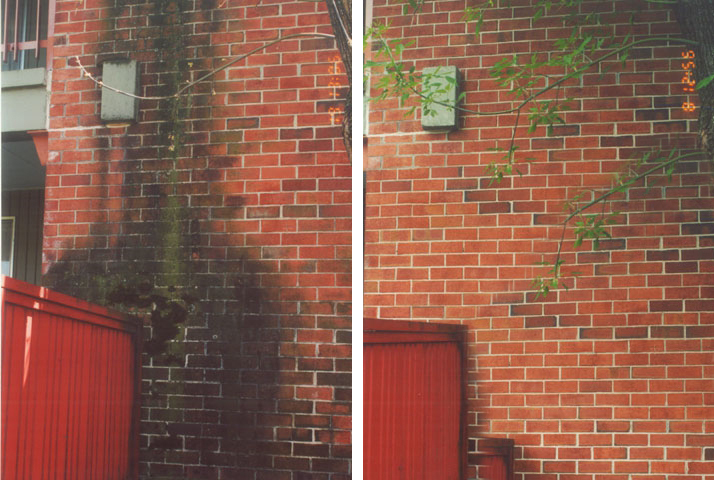 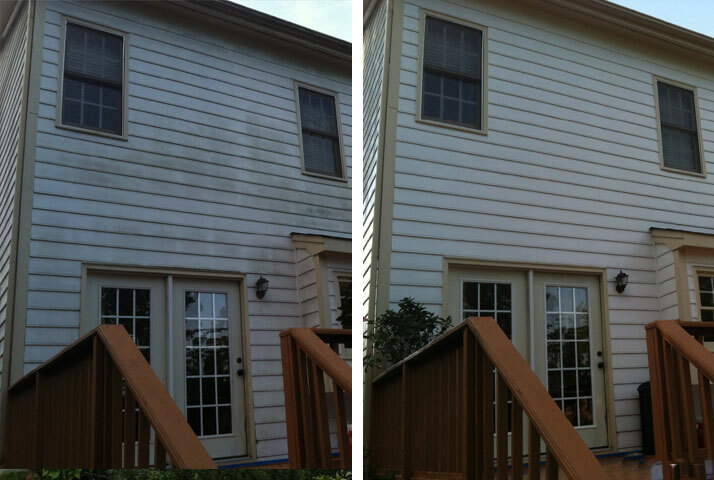 Dirty siding due to pollen, mildew, and mold can quickly turn your home into an eyesore. 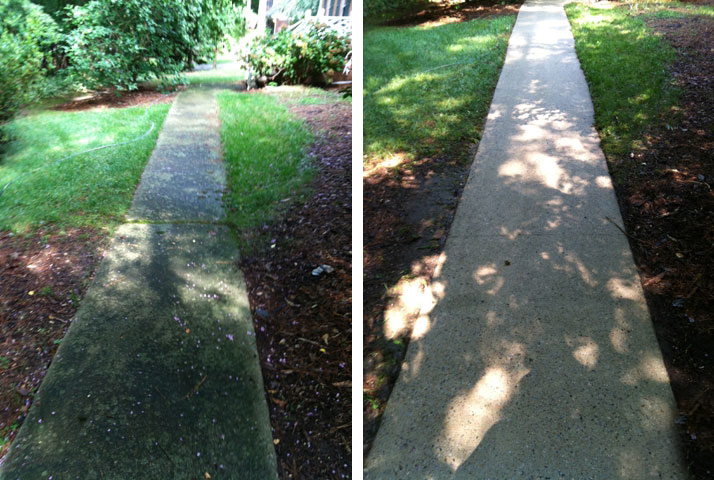 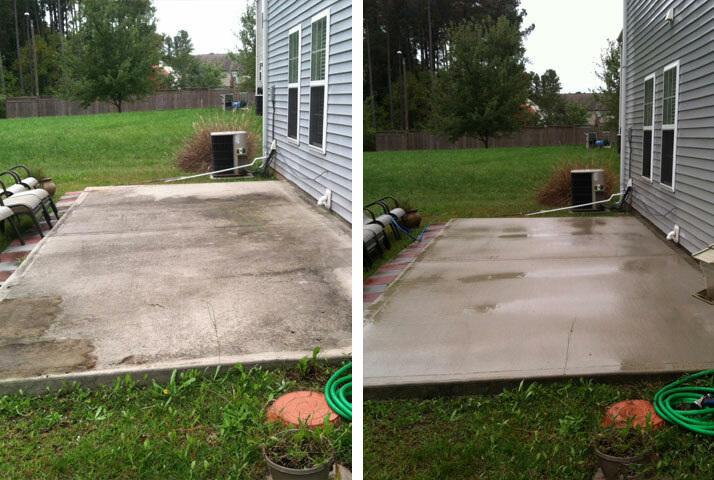 Oil, grease, dirt, and mildew can easily create ugly stains on your driveway. 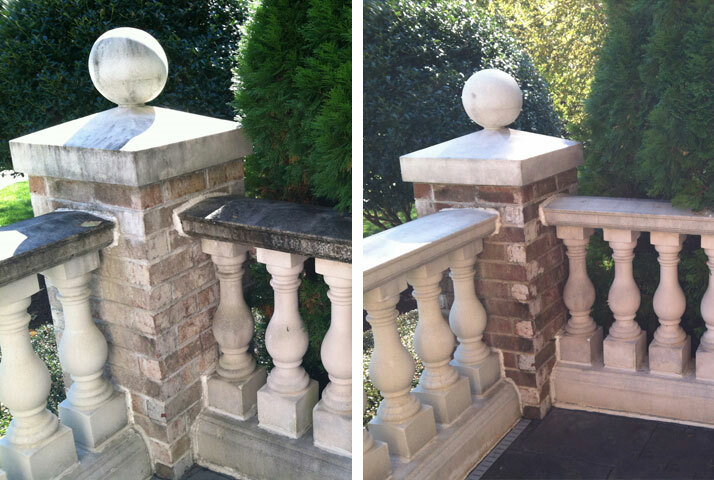 Most roofing shingles are limestone. 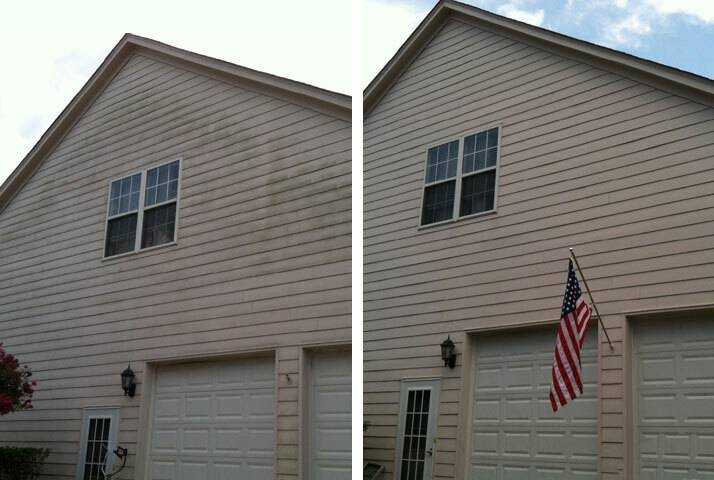 This encourages algae, which can cause roof damage. 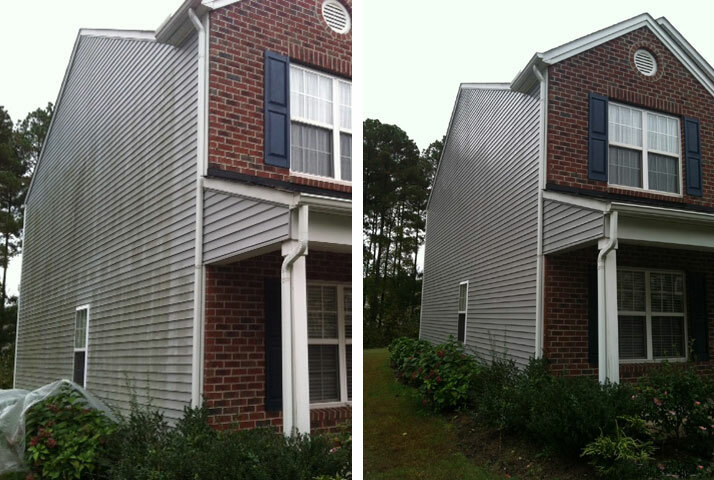 Clogged gutters can cause roof leaks, rotting and other damage to your property. 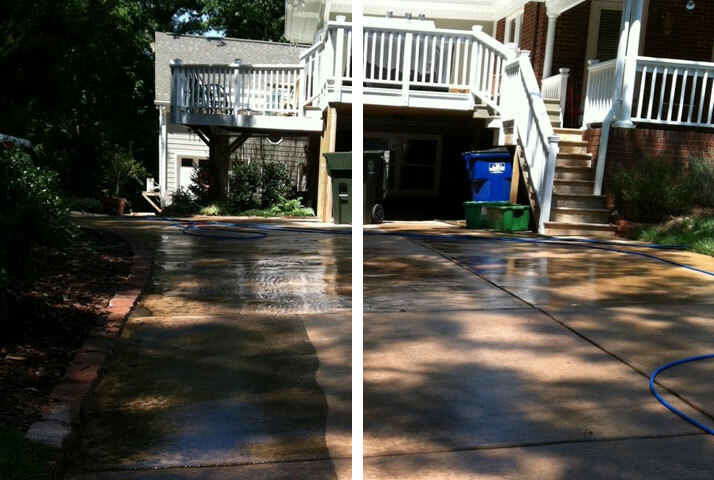 Like driveways, garages (inside and out) can easily become stained and disgusting in a short period of time. 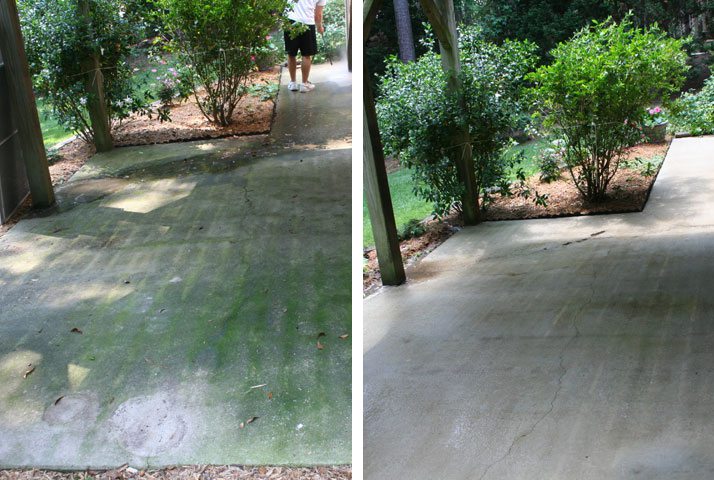 Fact: Dirty patios ruin cookouts. 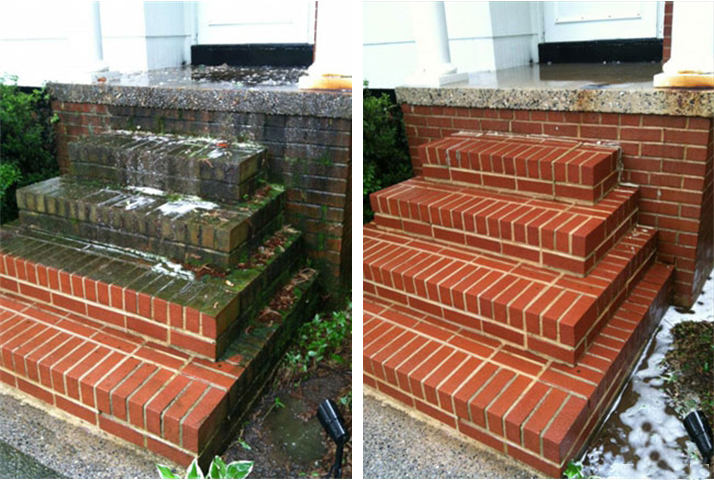 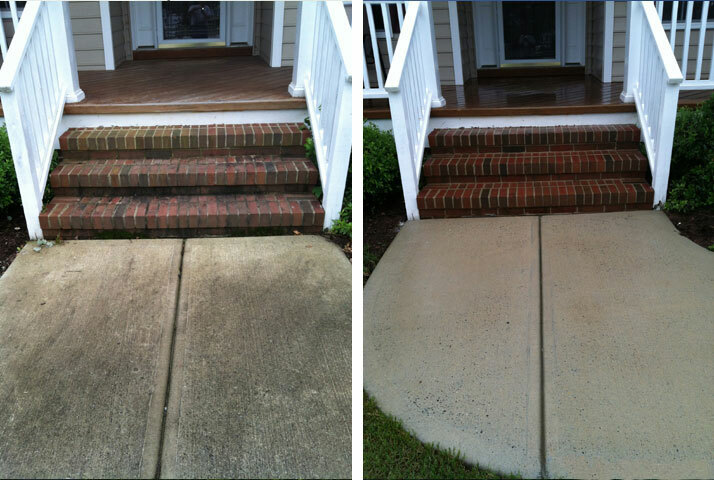 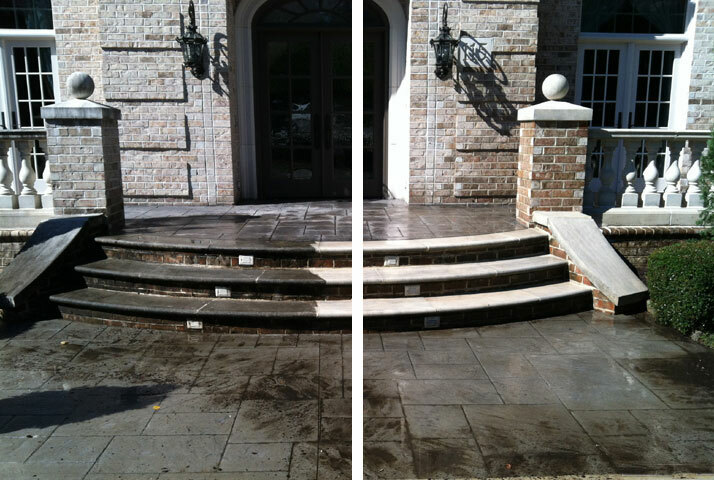 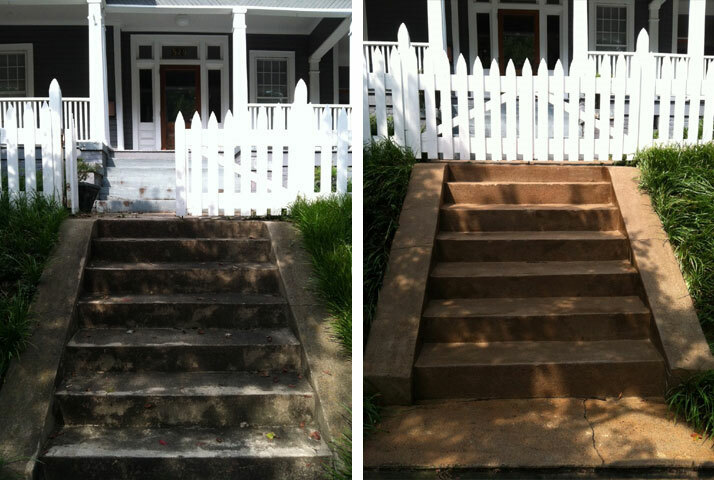 Pressure washing can easily clean pavers, concrete, brick, or stone back to new. 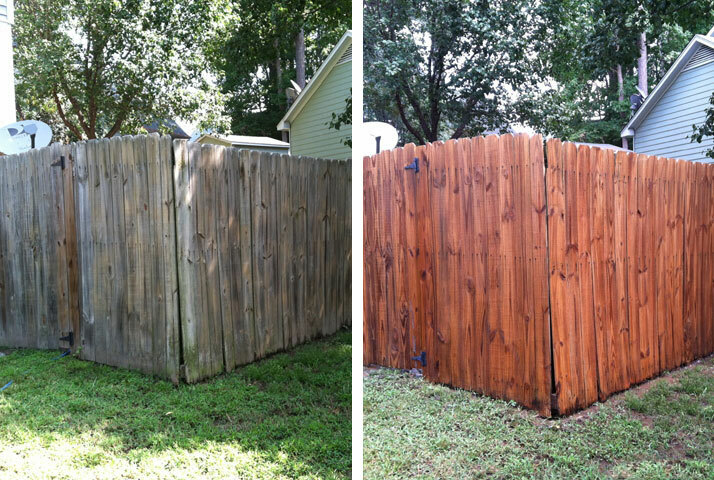 Fences and decks can begin to look grey and dingy over time, which encourages rotting and splitting. 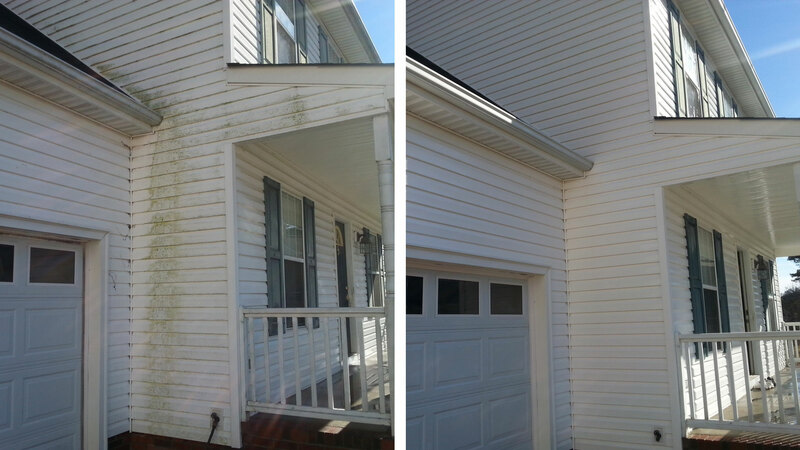 Most sheds are under or around trees, which quickly allows them to build up mold and mildew. 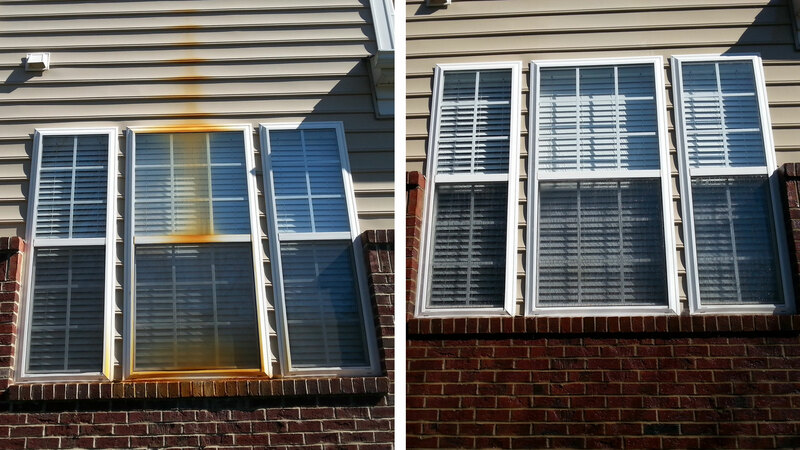 As with any exterior portion of your home, awnings are prone to staining that quickly bring down the value of your home.